Stem cells are at the core of developmental processes as well as our bodies ability to repair regular wear and tear. Research suggests that tapping the potential of stem cells can help us tinker our capacity to regenerate damaged tissues. 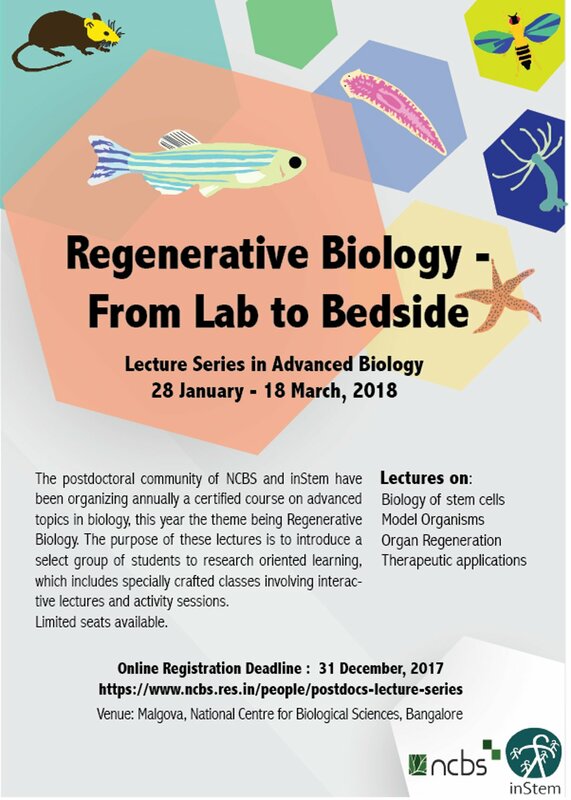 In this lecture series, we aim to give you a flavor of this area of biology by taking you through some exciting research articles on tissue degeneration and repair. We will address the biology at a cellular and molecular level and build up towards understanding how therapeutic capacity can be achieved. Listed on 11 Dec 2017.